Do you run a small business? If you do, wouldn’t it be great to allow your employees a legal way to not have to pay all their payroll taxes? If this is your desire, then your business needs a Section 125 POP plan. Do you have a Section 125 POP plan to offer to your employees? Maybe you’ve heard of a Section 125 POP plan but aren’t quite sure what it means and how it works. It’s important to understand what’s involved in a Section 125 POP plan because it gives you the opportunity to offer your employees benefits as well as provides a significant tax break. In other words, it benefits both you and your employees. Here’s what you need to know about a Section 125 POP plan, along with a few considerations and warnings. First, let’s clarify what we mean by a Section 125 plan. Put simply, a Section 125 plan, which is also known as Section 125 cafeteria plan, is a benefits plan that lets your employees use tax-free dollars to pay for their own health insurance premiums. Its “cafeteria plan” nickname comes from the fact that employees can select from a menu of choices for their benefits, such as medical, vision, dental and others, or they can choose to receive cash for the same amount. 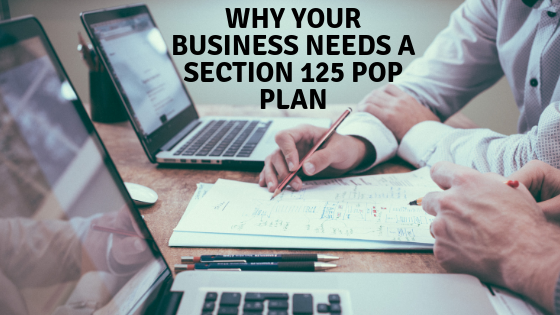 What Is a Section 125 POP Plan? A Section 125 POP (Premiums Only Plan) is one of the three benefits making up a Section 125 cafeteria plan. The other two benefits are the FSA (Flexible Spending Account) and DCAP (Dependent Care Assistant Plan). As a small business owner, you have the option of using just one of these benefits or a combination of them. You can also implement all three of them. A POP plan, which the simplest and most basic of the three benefits, gives employees the choice of setting aside a part of their pre-tax income for paying for their health insurance premium contribution. It’s cost-effective—This is probably the main advantage of a Section 125 POP plan as it can meet your legal responsibility when presenting your employees with a pre-tax choice for group insurance, HSA (Health Savings Account) and other benefits that are sponsored by an employer. On the other hand, it doesn’t give the same benefits and services like those found on a standard Flex System or FSA (Flexible Spending Account). A POP plan reduces payroll taxes. These include taxes for Social Security and Medicare. For every dollar that an employee contributes to the POP plan, you, as an employer, can save 7.65 percent in FICA taxes. It also saves you money in administration expenses. Consider how the money that you save from the tax usually makes up for the total cost for administering the plan. It feels like you’re getting a “raise” without having to add more cost. Income taxes are reduced for your employees. This includes federal, state and FICA taxes. More take-home pay is a huge perk for employees. To sign up, nothing is required from your employees. All they need to do is complete a waiver form if they choose not to participate. The POP document that your company receives covers all your employees who pay for qualified premiums out of their paychecks. You can start a POP plan at any time of the year. A POP plan can be sponsored by an employer. However, IRS regulations do not allow sole proprietors or partners to participate. Regardless of the size of your business, thanks to a Section 125 POP plan, there’s an effective way of reducing payroll tax expenses. What’s more, it gives your employees more take-home pay without having to sacrifice their benefits. Thus, if you want to offer your eligible employees a tax benefit but don’t want to offer them a full FSA, a Section 125 POP plan is an ideal solution. 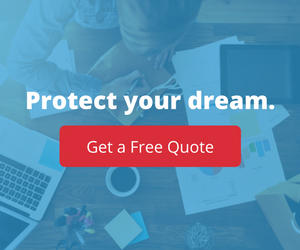 For more information on a Section 125 POP plan and for all your commercial insurance needs, visit InsureYourCompany.com. Although we work with a wide range of businesses, our main focus is on single-person LLC’s in tech and small New Jersey companies. Please contact us.